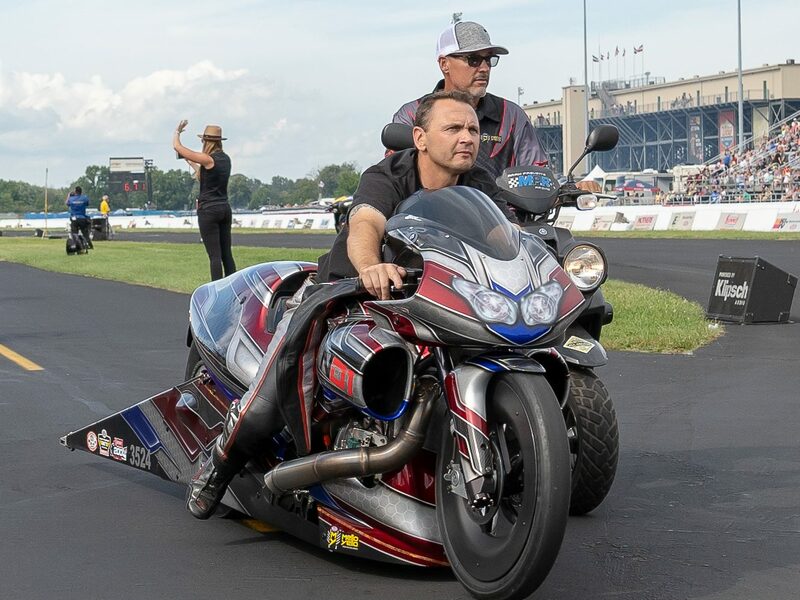 Even though he is still in the early stages of his NHRA Pro Stock Motorcycle career, Mark Paquette is no rookie when it comes to competing on two-wheels. Paquette boasts more than 20 years of motorcycle experience as both a crew chief and a rider. He holds three NHDRO championships as a rider and another three as a tuner. Paquette raced in 12 events during the 2018 Mello Yello NHRA Pro Stock Motorcycle season recalls his proudest moment of the season. The Chevrolet Performance U.S. Nationals also served as a career best for Paquette. He ran his quickest pass of the season (6.893 seconds at 194.13 mph) during the first qualifying session on Friday evening. The short offseason will prove to be a busy one for Paquette, as he plans to debut his own in-house engine program in 2019. Paquette is uncertain of how many events he will compete in during the 2019 schedule, but will actively pursue marketing partners to keep the team rolling. The Pro Stock Motorcycle campaign kicks off at the 50th running of the Amalie Motor Oil NHRA Gatornationals in Gainesville March 14-17.